Montpelier, VT — 40 Days of Fire, a joint effort by Justice for All and Rights and Democracy, is a statewide racial justice community organizing initiative kicking off in October. Events held all over the state will enlist Vermonters to learn more about and engage in our ongoing efforts in the fight against overt and systemic racism in Vermont. We will also mobilize voters to take a stand against racial pandering and dog whistles in politics. 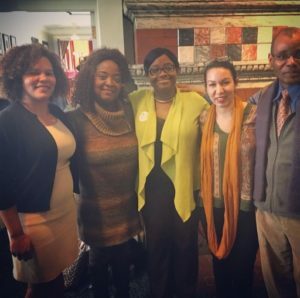 The 40 Days of Fire initiative offers Vermonters in all communities an opportunity to host and participate in training and empowerment sessions, conduct workshops, register to vote and participate in voter engagement opportunities, and directly confront candidates and elected officials on the issues of racial justice and the rights of those in traditionally marginalized communities. To learn more about 40 Days of Fire, and to sign up to hold a workshop in your area, please visit http://justiceforallvt.org/40-days-of-fire/. 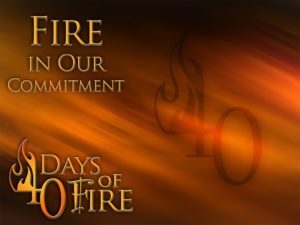 WELCOME to the 40 Days of Fire Campaign! There has been an aggressive and persistent political assault across this nation (including Vermont), fueled with race baiting and based in white nationalism . At the same time Vermont, not unlike the rest of the nation is undergirded in systemic racism and challenged with overt racism. 40 Days of Fire is a statewide racial justice community organizing initiative designed for two purposes: to electorize the fight against the current use of racial dog whistles in discourse and debate by educating and empowering folks to break their silence and; to enlist Vermonters to learn more about and engage in our ongoing efforts in the fight against overt and systemic racism in Vermont. 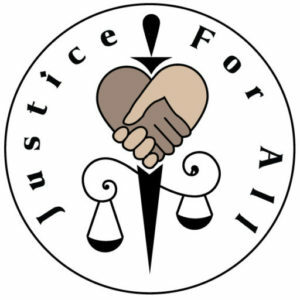 This joint effort by Justice For All and Rights and Democracy is offering folks in all communities across the state an opportunity to host and participate in training and empowerment sessions, conduct workshops, register to vote and participate in voter engagement opportunities as well as directly confront candidates and elected officials on the issues of racial justice and the rights of those in traditionally marginalized communities. Go here to get educated and take action NOW! Join us for the 40 Days of Fire Community Forum “The Gathering” at the McLure Multigenerational Center (241 Winooski, Burlington) on Saturday, 27 October from 1:00 till 4:00. We will discuss our progress and plan our next steps in the Campaign. 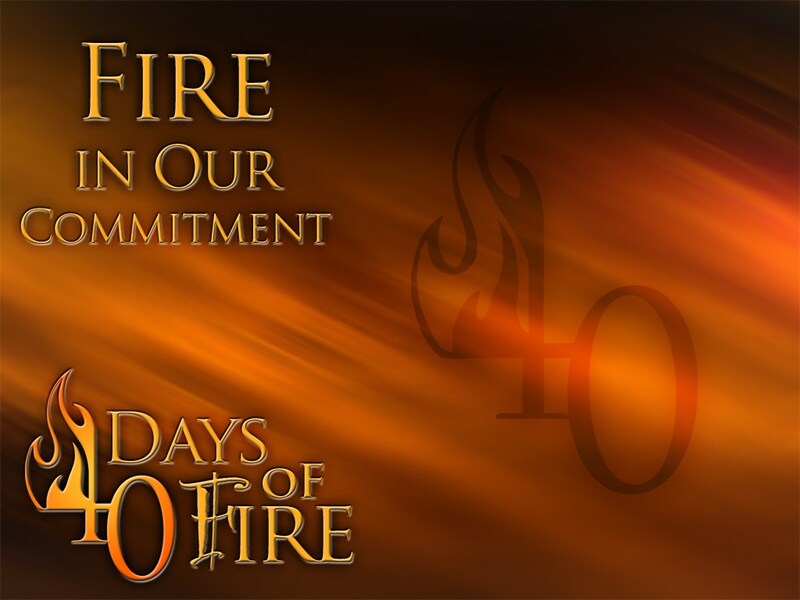 We need your financial support to make the 40 Days of Fire happen! Racial hate and the systemic response to it (or lack thereof) are what recently forced an African American political candidate to withdraw her candidacy. Our constitution says that “Every person within this state ought to find a certain remedy, by having recourse to the laws, for all injuries or wrongs which one may receive in person, property or character; every person ought to obtain right and justice, freely, and without being obliged to purchase it; completely and without any denial; promptly and without delay; comformably to the laws.” As we have throughout all history, we stand awaiting a remedy yet again but all we get it silence. Yes. Racial hatred remains an issue in Vermont and across the nation. As ridiculous and unfortunate as this situation is, at least it shines a light on a reality that exists in the everyday lives of over 31thousand black and brown folks across the state. The OTHER racism which has a much more harmful global impact is systemic racism. Black and brown people are being left out or left behind in the areas of housing, education, employment, health services, economic development and criminal justice EVERY DAY! The final racism is political in nature and the edifice of policy violence. The current stream of racial inflammatory rhetoric and the Trump administration’s decision to overtly run a campaign on it is stoking the flames. The Governor and his entire staff conducted operations from Bennington; ground zero of the activities surrounding the hate triggered campaign withdrawal. There was not a peep from the administration about the overt racist acts and the systemic response that caused the pullout. The Governor’s racially mute visit to Bennington in the middle of this horrific sequence of events goes far beyond him having blind spot or tone deafness. As an African American in Vermont, it is an arrogant slap in the face. Silence. As a result of my direct involvement I could go on for pages with all of the obstacles that the Scott administration has deployed to block our attempts at legislative efforts to address overt and systemic racism in Vermont. The so-called progressive legislature has also throttled some of these efforts with the use of procedure and the skillful crafting of language to block significant portions of racial justice reform proposals. The press continues to struggle to responsibly capture and appropriately contextualize the struggle and the historical significance of the legislative work that is being done surrounding racial justice. 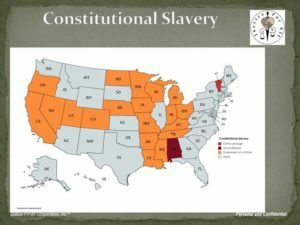 An example is the lack of coverage in 2018 of H.R.25, the first effort to remove slavery from the constitution in Vermont history! Silence. Governor Scott just reappointed an attorney specializing in law enforcement defense to the State Police Advisory Commission. The Vermont Criminal Justice Training Council broke the newly created law (ACT54) by changing the Fair and Impartial Policing Policy without consulting the Human Rights Commission in November 2017. The Chair and Vice-Chair (myself) of the Racial Disparities in the Criminal and Juvenile Justice System Advisory Panel resigned in March of this year. Silence. The biggest threat that black and brown Vermonters face today is white silence, because with it comes complicit consent to escalation of overt hate. With this silence black and brown folks will continue to be locked up and locked out as white folks choose to look the other way, pretending to believe the age-old false claims of the inalienable rights of all men. With this silence officials will be elected who in turn create policies with the intent of hurting black and brown people but the majority of the folks impacted will once again be white folks (Because while most black people are poor, most poor people are white). People of color pleaded with the neo-liberal progressive white folk to break the silence in 2016. Black and brown folks even comforted white people and welcomed them to the struggle on November 9th. Two years later many white people have either normalized, become complicit or have grown numb. 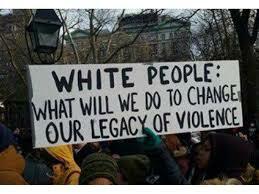 Throughout all history white people have ignored the fact that they are directly responsible for the policy violence directed at black folks, which hurts us more but hurts more of you. White folks, save the heart of this nation so the United States of America can for once be one nation, under God, with liberty and justice for all. Break your silence. The ongoing campaign of racial hate being directed at Kiah Morris and her family resulted in her deciding to withdraw her candidacy for House Representatives last week. Racial hatred remains an issue in Vermont and across the nation. As ridiculous and unfortunate as this situation is, at least it shines a light on a reality that exists in the everyday lives of over 31thousand black and brown folks across the state. The OTHER racism which has a much more harmful global impact is systemic racism. Black and brown people are being left out or left behind in the areas of housing, education, employment, health services, economic development and criminal justice EVERY DAY! The final racism is political in nature and the edifice of policy violence. The current stream of racial inflammatory rhetoric and the administration’s decision to overtly run a campaign on it is stoking the flames. 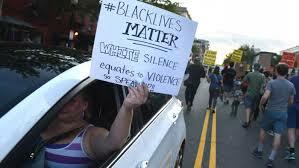 The biggest threat the nation faces today is white silence, because with it comes complicit consent to escalation of overt hate, resulting in violence in our communities. With this silence black and brown folks will continue to be locked up and locked out as white folks choose to look the other way, pretending to believe the age-old false claims of the inalienable rights of all men. With this silence officials will be elected who in turn create policies with the intent of hurting black and brown people but the majority of the folks impacted will once again be white folks (because while most black people are poor, most poor people are white). People of color pleaded with the neo-liberal progressive white folk to break the silence in 2016. Black and brown folks even comforted white people and welcomed them to the struggle on November 9th. What will it take for white people to come to understand that if we are to save the heart of this nation, they must break their silence? organizing campaign to your community? Representative Morris withdrew her nomination for State Legislator over the weekend! Representative Morris, her Husband James and their son Jamal have been the targets of extremely hateful attacks since she took office four years ago. Unpacking this means examining everything from how law enforcement, the general public, the press and her fellow legislators have chosen to respond. The criminal justice system is fairly consistent about failing black and brown people and this is no exception. In the same way the burden of proof is overwhelmingly on people of color when police are responding to an alleged crime committed by us (or perhaps just our presence), it falls squarely on us when we are the victims. It becomes a matter of “public safety” when whites feel “uncomfortable” but when an African American is looking for justice we invariably need “more proof”. As the sponsor of H.492 (Act 54), Kiah was instrumental in the formation of the Racial Disparities in the Criminal and Juvenile Justice System Advisory Panel: the Panel (agency heads) that threw the Chair and Vice-chair (myself) under the bus and tossed out the work accomplished over the first 6 months. Act 54 is the same law that the Vermont Criminal Justice Training Council snubbed when they changed the Fair and Impartial Policing Policy without Human Rights Commission review in November 2017 to enable them to receive a 500K grant. But this is not a surprise to our legislators because the senior leadership has remained silent, as we have informed them of policy implementation violence as it has occurred. This is the legislature that refused to take up language expanding the HRC or making racial profiling illegal this year. 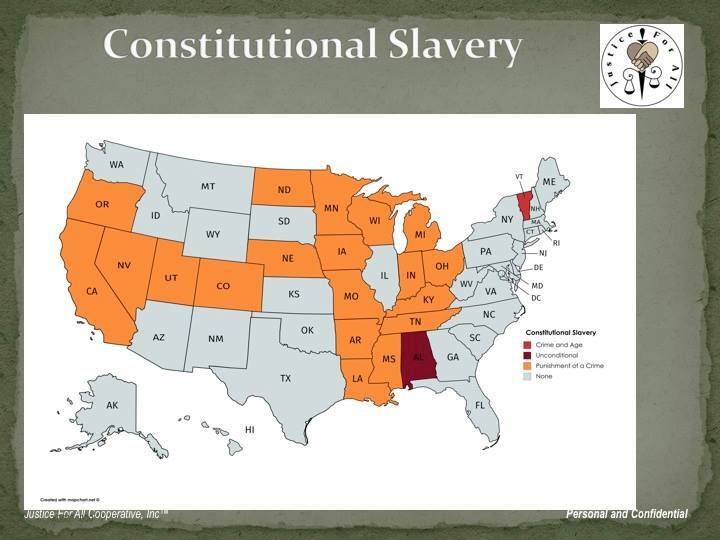 The senate refused to introduce a resolution to (next year) amend the Vermont constitution to remove slavery. The House introduced it but wouldn’t take it up. 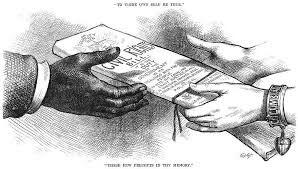 Though this is the House’ first call for the Senate to amend the Constitution (by removing slavery) since 1777 in all likelihood your are reading/hearing this for the first time (H.R.25, 2018). This leads us to the press, but I’ll stop there because if you don’t see it by now, you just don’t’ want to see it. Folks across the state are expressing their surprise and outrage at this turn of events. Please stop it. It exacerbates the problem when you continuously express shock and amazement at each manifestation of its existence. Systemic (and overt) racism are just as present (if not more) in Vermont as they are in any other part of the United States. The point is that as unfortunate as this is, to treat it as an isolated event misses the point. The root of this is systemic racism in Vermont and the fact that never in state history has anyone really taken a wholehearted effort to address it. The question is what, if anything can be done to once and for all cause white people to understand that it is morally wrong to trade the lives of black and brown and poor people for political and economic power? We call upon the Attorney General and Human Rights Commission, in coordination with community stakeholder to revise the ACT 54, Racial Disparities in State Systems, report released 15 December of 2017. We demand that specific recommendations be tied to resources, implementation timelines and achievement measurement criteria. We call upon the Senate President Pro Tempore and the House Speaker to prioritize enacting policy recommendations outlined in the Racial Disparities in the Criminal and Juvenile Justice System Advisory Panel Report (Act) 54. 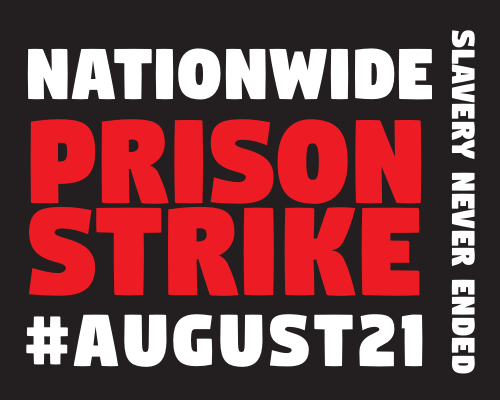 On August 21st prisoner rebels across the country will refuse to keep the prison machinery running and demand an end to prison slavery. On the outside, we’re busy spreading the word, organizing solidarity demos and more. “Any kind of act that’s designed to delay or deprive you and me, right now, of getting full rights, that’s the government that’s responsible. Over the last several days, Jailhouse Lawyers Speak (JLS) has had numerous conversations. The JLS mailbox has been packed with correspondence from prisoners around the nation. As prisoners, it’s clear we are all on the same page. So are the prisoncrats overseeing the prison-industrial slave complex. We are updating the Training and Education page to reflect the progress that we have made throughout the 40 Days of Fire Campaign. Please return in the near future to learn what you can do to continue to advance racial justice reform in Vermont.